While New Braunfels has never experienced a winter as severe as anything they get up north in places like Minnesota, it can still get cold and uncomfortable here. That’s why so many residents power on their heat pump. This handy HVAC appliance does a great job of heating homes all over New Braunfels. But a faulty heat pump can leave us feeling frigid. Increased use of your heat pump during the winter months also puts increased wear and tear on the appliance, meaning that you’re more likely to need to get your heat pump repaired. 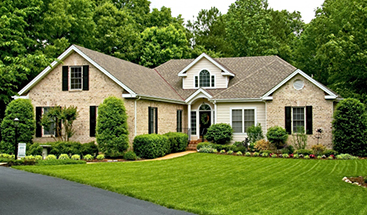 Let’s discuss some of the signs that your heat pump could use a maintenance call. Heat pumps are prized for their efficiency, meaning that you’ll likely know when you’re experiencing a decrease in heat pump performance. A sudden decrease in the output of heat is a cause for concern. This decrease can be caused by a myriad of factors, including a leak in the refrigerant lines. Leaks drain the fluids within the pump, preventing the appliance from functioning properly. Another cause could be the build-up of ice and snow on the outside of the unit. While this is a rarity in New Braunfels, it’s still a possibility. These build-ups prevent the pump from efficiently drawing air from the outside and pumping it inside your home. Finally, if your pump just isn’t producing any warm air, it could be that the reverse valve is jammed or even broken. This could keep your pump locked into cooling mode, which is the opposite of what you want in winter. Your heat pump has two temperature modes: heating and cooling. Which mode the pump is in is determined by the position of the reversing valve which controls the flow of the refrigerant cycle. If you cannot get your pump to switch from one mode to the other, it’s likely that the valve is jammed, stuck, or just broken. A broken valve is a big problem, and you should call one of our HVAC service technicians right away. Like your air conditioner, microwave, vacuum cleaner, or dog, your heat pump has its own set of peculiar sounds. 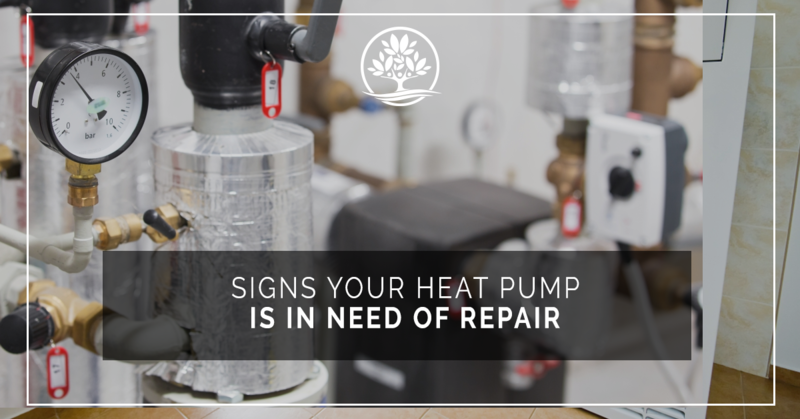 After living with it for a while, you’ll know when it sounds “right.” But if your heat pump suddenly starts making noises that just sound all wrong, it may be a good indicator that you have a problem. For instance, a common noise that indicates a damaged heat pump is a grinding sound. This grinding could mean that the air handler motor has overheated. Hissing, gurgling, or bubbling noises could be a sign that there are air bubbles in your refrigerant lines. These noises are a symptom of a much larger problem. You could have a leak which will need to be repaired right away. If you hear your heat pump kick on, and then power down, only to kick back on again a brief time later, your heat pump might be short cycling. This can be caused by a short circuit in your thermostat, or even a malfunction in your compressor. Short cycling can cause undue wear-and-tear on your heat pump, because it is desperately trying to produce enough heat while not receiving enough power. In the short-term, you might have to pay some repair bills, but if left unchecked, a heat pump that has been short cycling for a long time can actually destroy itself. Suddenly, you’re facing a unit replacement bill that far exceeds a minor repair bill. If your heat pump just won’t turn on, it could be a sign that a number of things have failed or gone wrong. For instance, it might be with a problem with your thermostat getting incorrect readings. It could mean that the heat pump is just not getting enough electricity to run properly. In this case, check your electrical panels to see if a breaker has been tripped and needs to be reset. Take a minute to inspect the outside of the unit for any frayed wires or obvious damage. Curious critters may have taken a bite out of your heat pump without you knowing. Need to repair your heat pump in New Braunfels? Contact Legacy Services Heating and Air Conditioning! We offer top-tier HVAC services at affordable prices, whenever you need them. Call us today to schedule a maintenance call!